The power your car's engine is producing is important. When you step on the gas you need your car to accelerate, mainly to keep you out of trouble when getting onto the freeway or when pulling into heavy traffic. When your car was new it will typically have the best power it will ever have without doing modifications of some kind. Slowly the engine can lose a slight amount of power as the miles start stacking up which is normal. This is due to several factors such as piston ring wear which lowers compression and the contamination the mass air flow sensor which will provide a false reading to the car's computer. Other factors such as low fuel pressure or a partially plugged catalytic converter and a stretched timing chain can also attribute to low engine power as well. Sometimes it can be difficult to tell if your car is losing power if the problem is subtle. The illusion of low power might be apparent because many cars or passing you while heading on the onramp to the freeway or it seems like you are pressing down on the gas pedal a little more than usual. The truth be told if a slight amount of power is being lost it is difficult to tell. This is where the computer system of the car comes in. Many times a check engine light will be on letting you know a malfunction of the electronics or an engine mechanical failure has occurred. Once a trouble code has been read troubleshooting the repair can take place restoring the engine power. A drastic reduction of power is much more noticeable and easier to detect. This condition may or may not catch the eye of the computer and may or may not turn the check engine light on. 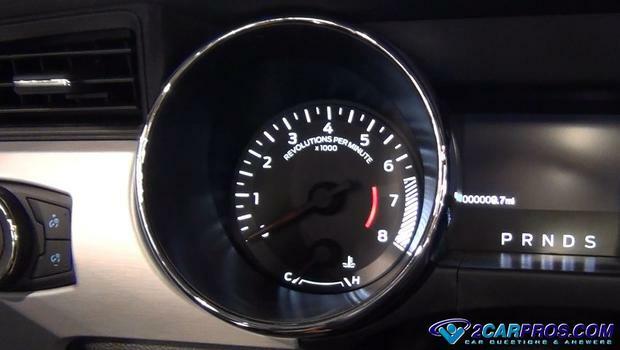 For example; if the fuel pump is starting to fail and is not providing a sufficient amount of fuel pressure and volume the engine will have low power, but the computer will not know why. This is because all external support systems such as the exhaust and fuel delivery system are assumed systems which the computer cannot take in account for. Specialized computer scanners can display waveforms for the injector pulse and mass air flow reading but this information is only good when a normal baseline for such readings are available. When an engine is over compensating for a mechanical, system or sensor failure it could use more fuel than usual. For example if the weak fuel pump cannot deliver the correct pressure then the spray pattern of the injectors is compromised which in turn lowers the atomization of the fuel causing higher emissions and slower burn rates which lowers piston thrust. Engine with high mileage can suffer from lower compression which will be compensated by a heavier application of the throttle which burns more fuel.